Globalink VoIP Switch is an IP Multimedia Subsystem. Globalink MVS is a software-based communication platform with subscriber management for next generation communication providers to unify voice, video, data and fax traffic within a single network. Globalink VoIP Switch enables resellers to provide prepaid, postpaid, click2call, call center, callshop, pinlesss, call recording, call conferencing, presence, chat, billing, support, web callback, mobile dialer, unlimited voip plans, hosted pbx and much more all on a single Globalink VoIP Switch. A ready replacement for Class 5 switches, Globalink VoIP Switch consists of all the application modules you need to run the business from the Cloud. Use your own Carriers Routes for Origination or Termination on Globalink MVS For high volume resellers selling just pure wholesale termination, just rent a partition on our Globalink MVS and start selling your voip services. Add APPs as you grow your business Use custom "quick forms" to add your users and features quickly. These new features are now available as a result of the upgrades to our Globalink VoIP Switch. Center APP with Call Recording and Call Queues Setup call queues so that your customers can wait for next operator and listen to music or announcements while waiting. Globalink Calling Card APP Pinless calling card services can be setup using PortaUM provided caller id is passed in e.164 or country code followed by number format. 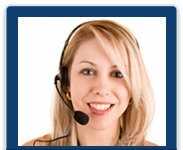 Globalink Callback APP Provide ani or web callback services where internet is not available. Incoming caller id must be in e.164 format. Globalink Custom Web Automated SignUP API Create your own web automated signup forms so your customers can register online from your website. Our server will provide login credentials by email to your customers. VPN Xtunnels APP You can setup your own custom sip ports or VPN (Virtual Private Network) to get around countries where voip ports are blocked. You can upgrade and add modules as needed to Globalink Managed VoIP Switch at any time.